The monthly dapivirine ring, the first discrete, long-acting, HIV prevention product designed specifically for women, will soon be on the market. * Women account for over half of adult HIV infections in sub-Saharan Africa, but have few HIV prevention options that they can control. This new product is critical to empower women to protect themselves and to make progress towards the elimination of HIV. 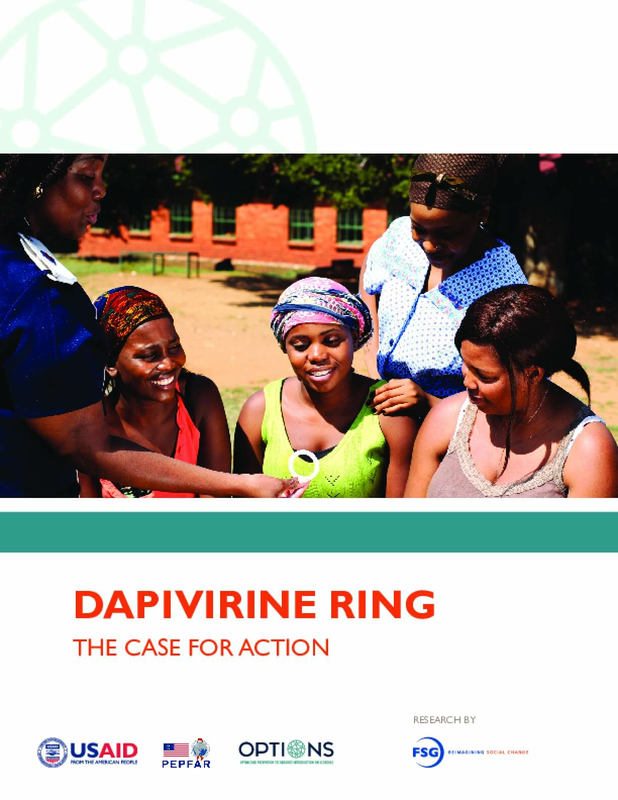 Developed with the OPTIONS Consortium, a five-year USAID and PEPFAR initiative, and the International Partnership for Microbicides, this report is for national governments, donors, implementers, and advocates who are planning for the launch of the monthly dapivirine ring. *Pending approval by regulatory authorities. Women and girls need HIV prevention options they can fully control. The dapivirine ring will enable more women to protect themselves against transmission without requiring action from a partner. The ring offers 4 major benefits: it is highly acceptable to users, it is effective in reducing HIV transmission, and it is safe and easy to use.